As you know, we’ve reviewed several different beers from Rogue Ales so far. With one exception, we’ve focused primarily on their IPAs. Well, not everyone likes to get all hopped up. As a matter of fact, before I switched to IPAs, dark porters and stouts were my favorite. Today, we’ve got a double-whammy, taking a look at two different Rogue Chocolate Stouts. 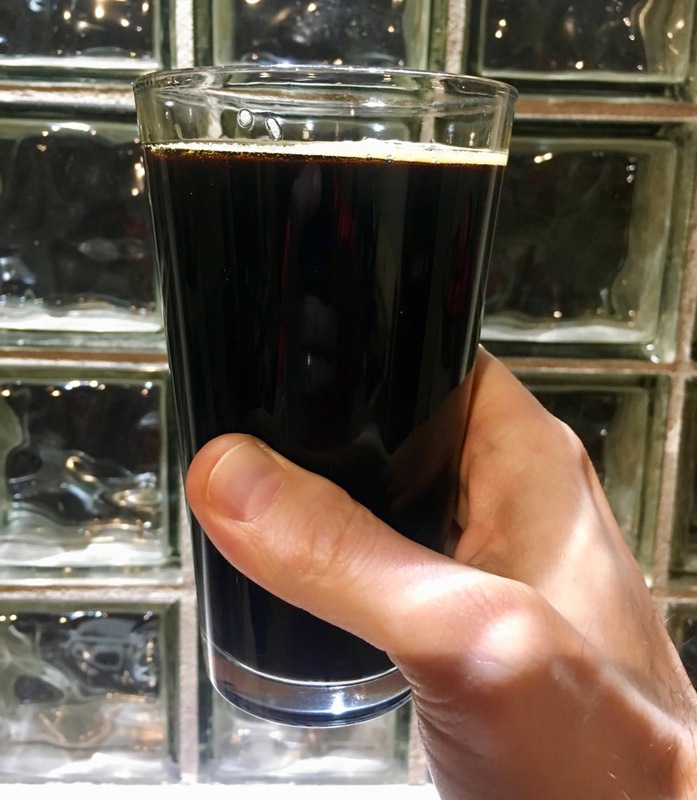 As you might surmise, the Rogue Chocolate Stout and Double Chocolate Stout have a good deal in common. If you check out the ingredient list down below, they’re practically identical (the double has honey added to the mix). It does make for some markedly different beverages, however. The Rogue Chocolate Stout pours like you would expect a stout to, and does not have an overly-pronounced nose to it. On the tongue, there’s a sharp bitterness to it (reflected by that 69 IBU rating) that you might not expect from a stout. When you get to the flavors, the chocolate addition reminded me of a malty flavor, sort of like the hot cereal I’d have as a kid with some chocolate syrup mixed in. When you change over to the Rogue Double Chocolate Stout you know you’re onto something different when you pour it out of the bright red bottle. This has a noticeably thicker, more viscous, movement to it. While there is not much head, what there is of it has a slight reddish tinge. To my taste buds, it was definitely the sweeter of the two (I think we have the honey to thank for it) and I also picked up a slight hint of coffee. The overall flavor is different, though I still came up with a cereal association for it. The chocolate is there, but this one had a sort of caramel, Sugar Smacks reminder to it. Hard to put that into words, but it was an interesting note. And yeah, of the two, I did end up preferring the Double a bit more. Ingredients: 2-Row, C120, Chocolate & Rogue Farms Dare™ and Risk™ Malts; Rogue Farms Rebel Hops; Rolled Oats, Roasted Barley, Honey, Chocolate, Free Range Coastal Water and Pacman Yeast.